How do English Learners acquire language? What approaches best support teaching English Learners to be effective writers? How can writing help second-language learners develop their skills in language and content knowledge? 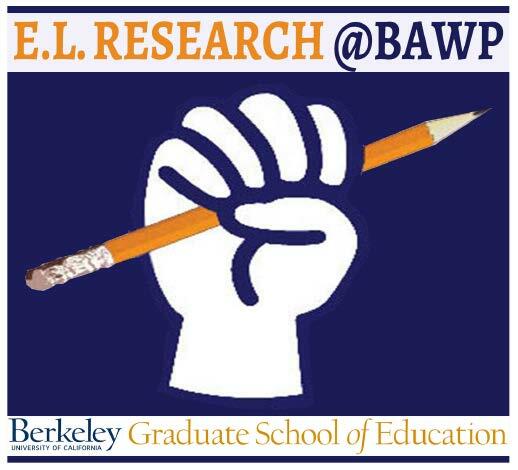 Like all complex questions, there are no easy or quick answers.Since 2013, the BAWP ELL Group has met monthly to learn about language acquisition, share practices and dilemmas, and refine presentations that support English Learners. In 2018-2019, the study group will pivot our focus to the unique challenges and joys of writing with Newcomers. We will reflect on our own experiences with working with Newcomers through the lens of discussions of academic research and on-the-ground promising practices being implemented. Email David or Liz to join this group or find out more.